New Caledonia is in the South Pacific region, close to Australia and New Zealand. It has been uncovered as a very gay welcoming paradise, just waiting for travelers to discover it. 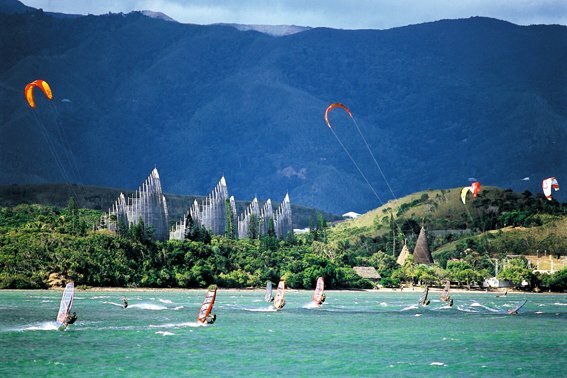 The kite surfers have known about its world-class lagoon and tropical winds for a long time! Here's one getaway that will convince you to return. 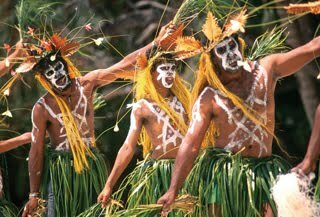 Noumea, the capital of New Caledonia, is host to the 4th Melanesian Arts Festival this September. Noumea Discovery and Rainbow Tourism are offering exceptional packages before, during and after the two-week cultural festival being held at various locations around the main and outer islands. The Melanesian Arts Festival in Noumea is 12-24 September 2010. Artists and performers from Fiji, Papua New Guinea, Solomon Islands, Vanuatu and around New Caledonia will be flocking to Noumea from for the two-week festival. This would be a good time to get introduced to New Caledonia and enjoy a few nights in Noumea for the free festival events and two nights at a rainforest retreat before or after the spectacular closing ceremony at Tjibaou Culutral Centre. Festival Short Break and Festival Week Escape packages have been priced with special emphasis on activities of interest to lesbian and gay travelers clincluding local parties at the community supportive clubs and cafes.